In late August 2017, leaders in the bioprocessing industry gathered in Boston, MA, at Cambridge HealthTech Institute’s Bioprocessing Summit conference to discuss cost-effective strategies to ensure a picture-perfect product every time. At the conference, Dr. Hightower illustrated how biopharmaceutical manufacturers can use a metabolomics approach to gain insight into the “active biology” of a bioprocess that can help minimize process variability. Dr. Hightower’s company, Metabolon, has specialized in metabolic profiling since 2000, and both Metabolon’s vast chemical reference library and their multiple points of matching strategy for metabolite identification enable highly accurate and comprehensive metabolite measurements. These “hidden elements” can provide valuable knowledge about cell health and protein production. For example, glutathione can relay information about oxidative stress levels and the redox capacity of the cells—an important metric for recombinant protein production, which relies on redox potential for disulfide bond formation, proper protein folding, and protein secretion. Assessing the activity of a living system using metabolomics requires robust, high-throughput analytical systems that can accurately identify metabolites, a comprehensive understanding of biochemical pathways, and expertise in analytics and biochemistry to successfully interpret and apply the results. However, the reduction in cost and time-to-consumer achieved by applying an extensive metabolomics approach to bioprocess development and monitoring makes these challenges worth overcoming. While Metabolon builds understanding around the integral role different pieces play in creating a reliable process, companies such as Merck, Valitacell, Cell Culture Company (C3), and Roche have focused their efforts on the pieces themselves, with their respective work on media development, cell-line selection, bioreactor design, and continuous process monitoring. Metabolomics can assess factors that influence the active biology of the cells in the bioprocess such as genetics, operational environments, and nutritional requirements. Metabolon’s technology provides a broad, informative assessment of biochemical space (i.e., active biology), expanding the avenues for optimizing production systems beyond conventional technologies. Wai Lam Ling, Ph.D., Merck’s senior principal scientist and group leader of biologics upstream process and media development, provided GEN with an analogy that compared motorcycles to small-molecule drugs and jet planes to biologic therapies: like biologics, jet planes are complex to design and manufacture. Thus, to get their products off the ground, biomanufacturers need to select the right components—starting with cell culture media—to create a robust, reliable process from production cell lines. Manufacturing engineers formerly used complex media from animal-derived products, but the burgeoning, modern-day industry is quickly adopting chemically defined media wherever possible. In contrast to complex media, chemically-defined media consists of individual, known components and is devoid of animal-derived materials and hydrolysates, which removes much of the mystery and variability inherent in complex media. However, with anywhere from 50 to 100 different components to balance, finding the perfect recipe for chemically defined media is still an industry headache. Even well-planned design-of-experiment methodologies for media development can be both time- and resource-consuming. By using a systems biology approach that leverages the tools used in drug discovery, such as next-generation sequencing, shotgun proteomics, and metabolite profiling, Dr. Ling and her team can visualize how changing the selection, concentration, and chronology of different components affects cell productivity and product quality. Integrating the data with other important product attribute measurements, like glycosylation, allows the team to generate predictive models for media optimization and reduce the time and money spent finding the perfect formulation to complement their bioprocesses. While tailoring the media to the process can mitigate cellular stress caused by a bioreactor environment, starting out with a robust, stable cell line is essential to a successful process. Nutrient starvation, oxidative stress, toxicity, unfriendly pH or osmolarity levels, and other stressors can cause clonal instability, where productive cell lines become unproductive or produce errant proteins that require extensive purification. In 2014, Valitacell founders McWade and Jerry Clifford asked themselves if they could recreate the bioreactor environment by coating a 96-well plate with small-molecule chemicals that mimic different stressors, prompting the development of Valitacell’s latest product: ChemStress Fingerprinting. Combined with a software platform that plots growth and product titer for each chemical challenge, ChemStress produces a fingerprint unique to the cell clone and culture media combination tested. Scientists can use changes in the fingerprint to detect clonal instability (Valita™STABILITY), as well as batch-to-batch variation in culture media (Valita™QC). “The key exciting part of the [ChemStress] technology,” said McWade, “is the ability to determine much, much more quickly which cells are likely to be unstable.” While conventional subculturing studies can take 60 to 160 days, ChemStress Fingerprinting can detect clonal instability in 24 days. Decreasing the time and money spent on cell line development can relieve some of the economic pressure biopharmaceutical companies face as newer, more targeted therapies emerge, requiring more projects, faster development, and more efficient processes. Not only has this pressure prompted innovative new solutions, but it has also provided incentive for manufacturers to re-evaluate established technologies. 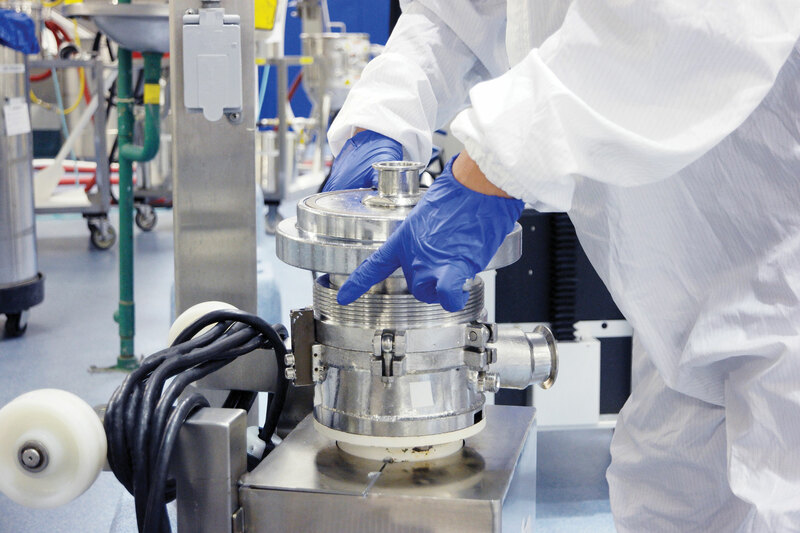 Some companies are even designing media specifically for continuous biomanufacturing operations. Valitacell’s ChemStress technology can recreate the stressors experienced by cells in a bioreactor that can lead to clonal instability. After a three-day culture on the plate, cell growth and product titer are measured and plotted against the chemical challenge to produce a fingerprint unique to the cell clone and culture media combination. Changes in the fingerprint over time can be used to predict clonal instability. Patented in 1974 by Kruznak et al., perfusion hollow-fiber bioreactors (PHFB) consist of bundles of thousands of hollow fibers constructed from semipermeable membranes and enclosed in a cylindrical cartridge. Similar to capillaries within the body, the porous membrane structure of the fibers allows oxygen and nutrient transport to cells immobilized on the exterior of the fibers and removal of waste products. The fiber bundles also increase the surface area available for cell growth considerably, which promotes a higher, more tissue-like density (~108–9 cells/mL) than fed-batch bioreactors (~107 cells/mL). One of the greatest advantages of PHFBs, however, is the ability to maintain cells in culture for several months at a time. Scott Waniger, vice president of bioprocessing at C3, remarked, “biotechnology has kind of been lagging behind the rest of the industrial world when it comes to continuous manufacturing.” PHFBs could make a significant contribution to closing this gap, especially compared to the 14 – 21-day runs typical of fed-batch reactors. Continuous manufacturing strategies can significantly reduce costs, enabling the production of “difficult-to-express” proteins that fall below the standard production rate of 1 to 10 g/L, making them too costly to produce using conventional methods. C3, a contract development and manufacturing organization (CDMO), has used perfusion technology since 1981. Their largest bioreactor, the Acusyst (automated cell culture system) Xcellerator, runs 20 single-use hollow-fiber cartridges in parallel to accommodate a 1,600-L volume. The refrigerator-sized bioreactor is modular and can be scaled out by adding more units to increase the volume for large-scale production. In addition to providing a linearly scalable system, the design also eliminates the need for seed trains, which can increase time to production and requires additional bioreactors to gradually grow the culture before inoculating the final full-capacity production tank. Designing a successful process to produce a particular biologic depends not only on fitting together the right cell culture media, cell line, and bioreactor, but also on careful control and monitoring of the system. 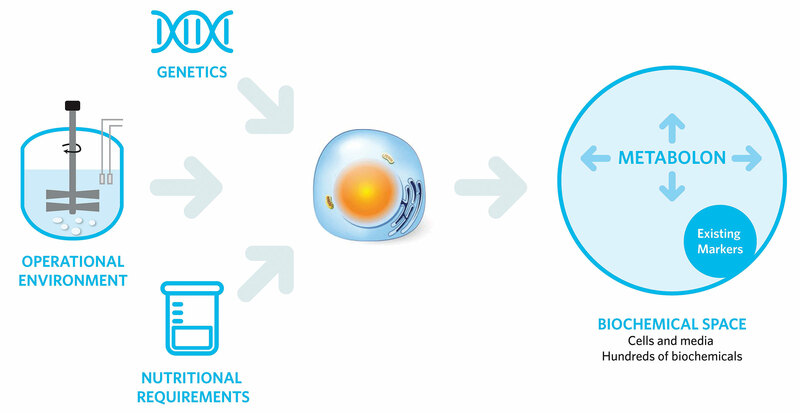 One of the most relevant parameters used for bioprocess control and monitoring is cell growth. These measurements are typically obtained through manual sampling and off-line cell count or optical density measurements during cultivation. However, Wolfgang Paul, Ph.D., senior scientist and group leader at Roche Innovation Center Munich, Roche Diagnostics, is developing a new approach to allow continuous monitoring of cell growth without manual sampling or the addition of bulky hardware. The method involves a soft sensor, also referred to as a virtual sensor, that can calculate cell growth based on data already collected: oxygen input, carbon dioxide output, heating and cooling units, pH value, base addition, and agitation speed. The soft sensor uses multiple linear regression and artificial neural network models to relate these data to cell growth. Loosely modeled after neural networks in the brain, artificial neural networks use interconnected nodes that imitate neurons to pass along information. According to Dr. Paul, the various nonlinear fitting abilities make this machine-learning approach a promising model for generating the type of accurate estimations needed for their application. “We initiated the development of the soft sensor on small-scale bioreactors, because there are many vessels (mostly single-use bioreactors) in use with no space for additional hardware sensors,” said Dr. Paul. While their initial studies focused on smaller 250-L bioreactors, the soft sensor should, in theory, function independently of bioreactor size. According to Dr. Paul the benefits of a non-invasive, continuous monitoring system that can reduce the need for manual sampling are “very prominent for the small-scale bioreactors,” which play an increasingly important role in process development and characterization for manufacturing large-molecule therapeutics. Biologics have transformed the therapeutic landscape, and they continue to do so as the emergence of targeted and personalized therapies require even more innovation from the biomanufacturing industry. Manufacturers will need more flexible processes that can deliver consistent, high-quality products in less time and at lower cost than ever before to accommodate the growing needs of the industry and ensure process reliability.